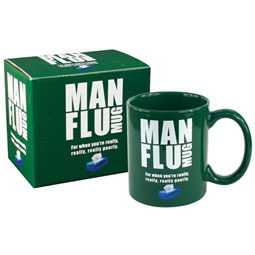 We've all got a hypochondriac pal who never gets a cold, but always gets man flu! 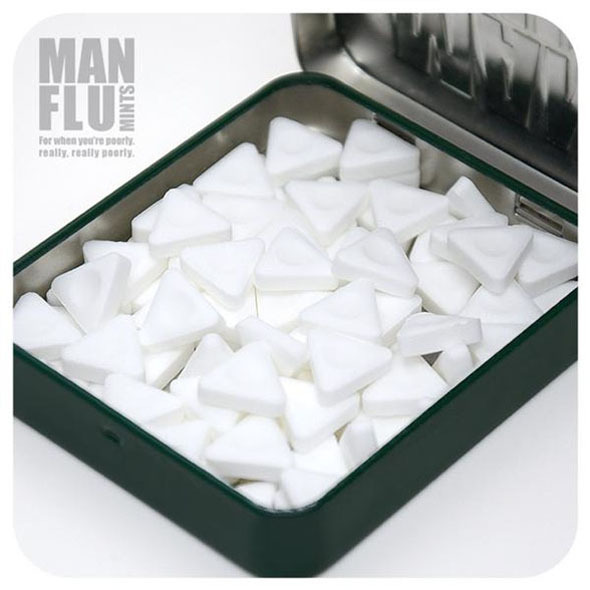 Our man flu mints are the perfect novelty gifts for men who are wimps when they get a bit poorly, and a truly hilarious jibe at that! We love these novelty mints; a simple but effective stocking filler or small gift idea. 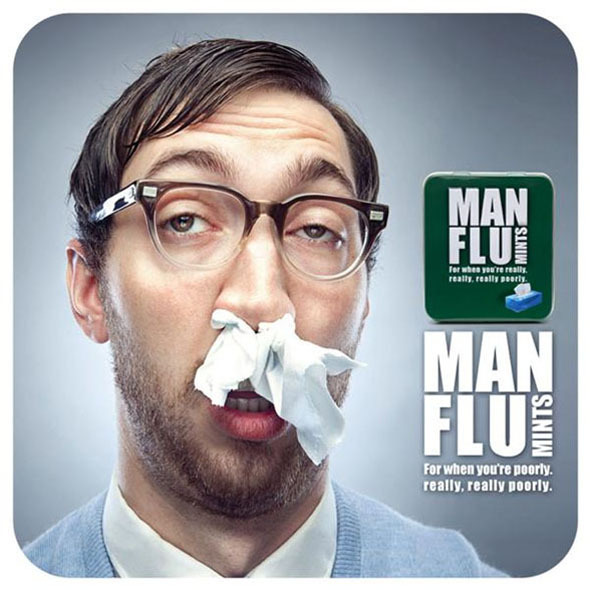 Text underneath says "for when you're really, really, really poorly"
We all know the struggles of man flu. It is worse than a cold, and it is way harder for men. Fact. Almost. Sort of. IT JUST IS OKAY? The very definition of a first world problem, man flu is a battle we must all face every year - more than once if we're unlucky. Sometimes we just need a man hug or a little nod to let us know we're doing ok. That's when these man flu mints come in handy. Once you take these out of your pocket, everyone will know that you are dramatically unwell and suffering and therefore you will be showered with affection and sympathy. Probably. Possibly. Alternatively, these novelty mints are the perfect gift idea for the hypochondriac mate who loves a moan. 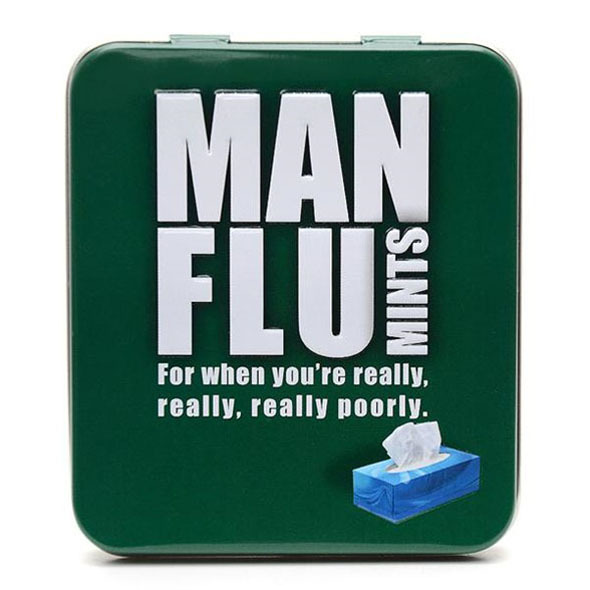 Throw some man flu mints his way and let him know you're all fed up of his whinging! Potentially a clever cover up gift idea for a pal who isn't friendly enough with his toothbrush too! Just sayin'... Minty fresh breath and banter rolled into one. Who can beat that?